Heemskerk Security was established in the early 90’s by Brothers Merv and Allen Heemskerk and provides various security services to many businesses, large and small throughout the South East of South Australia. Merv Heemskerk has 23yrs of overall service within the Security Industry and with 17 years of Management level experience for a National Company, specializing in the Cash in Transit sector. Merv recognised a lack of Security Services in the local area, especially the need for Guards and Special Event Security, the result of which, and with his brother Allen, they formed Heemskerk Security. 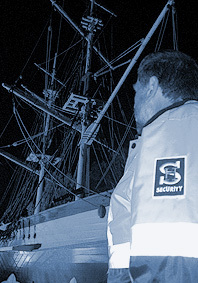 Since the early 90’s Heemskerk Security has serviced the Timber Industry sector with on site 24hr Security during shut down periods, and many regular events using their Guard Services. Allen moved into the Company fulltime in 2002 with Merv following in late 2004. Customer demand encouraged the Company to offer extra services which have now been put into place with quality and reliability a priority. The company recently completed a major 18 month contract for Construction Site security involving 24 hr / 7 days a week service which included front gate monitoring and site patrols. Special event security such as ‘Mt Gambier June Racing Carnival’ and events such as ‘SA /Vic State BMX Championships’ demonstrates Heemskerk Security’s ability to operate in diverse security environments as well as show-casing their depth of knowledge and versitility. Recently Heemskerk Security provided Security for the ‘politicians’ in attendence at the first “Regional Sitting of Parliament” held during May 2005 in Mt Gambier. Implementing strict access to a greater part of the facility, Heemskerk Security proved they can perform in busy, crowded, high traffic environments while at the same time recognising the needs of VIP’s. Heemskerk Security also provides a Cash in Transit service which now gives local business a safe alternative option, for their banking needs. Provision of an ATM FLR Response service, covers the wider South East. Working independently, our Alarm Response to Business and the Home, is available to all clients, 24hrs / day, 7 days a week, regardless of your Monitoring Control Centres. Heemskerk Security also offers 24hr patrols. Vehicles are currently providing services to Aged Care Facilities, Schools, Local Council, Construction Sites, Timber Industry etc.. as well as looking after individual homes. Servicing Business throughout the South East of South Australia, Heemskerk Security are customer focused and look forward to meeting your Security needs.